Testimonials - KDM Home & Gas Inc.
Dan was very friendly and polite from the start. Did exactly the work that we talked about on the phone, and was very quick making a late evening call on a Sunday. Tested all the joints and even painted the gas lines. I would recommend him for sure. I had a 2nd hand pool heater hooked up and needed help getting it fired up. So I contacted Dan at KDM to see if they could help and was pleased he could make it over within a couple of days. He checked out the gas piping for leaks and proceeded to analyze the components of the control system and determined a faulty pressure switch was likely preventing operation. I was able to source the part and Dan was able to make a 2nd call within a day to install and complete the job. So in summary, I would recommend KDM for any of the services they provide. KDM was hired for the Installation and relocation of internal gas line for my basement finishing project. Daniel and Steve were amazing, very professional work and courteous….never dealt with more friendly and knowledgeable Hvac technicians. Asked for quotes on a A/C and furnace after 17 years when the A/C unit broke down. I contacted a few HVAC contractors including KDM. Daniel could not have been more helpful and responsive and after reviewing the quotes decided to hire him for the job. Could no have made a better choice. Daniel was patient and upfront and answered all my questions when asked. He upgraded my A/C unit for the same price after the original unit we agreed upon was back ordered. The crew came when they said they would an completed the installation in a timely and orderly fashion. I would not hesitate to hire Daniel and his crew again. In fact he is coming back to deal with another issue I have next month! 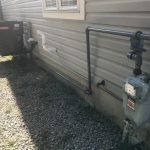 I was looking for someone who can do the gas line connection on a weekend and I found the right guys with KDM Home & Gas. Daniel came on Sunday morning to do the work. He installed the new gas line, connected the new gas stove, confirmed no leaks and ensured everything works fine. It was a really hot day outside but he did an excellent job. Assessment happened on a holiday and work was completed the following day. Everything was quick and efficient.